The American Dental Association has done much through the years to show the public the extreme importance of effective brushing and flossing practices. And since it began this year-long emphasis there has been a definite impact made on the oral health of the average person. However, the danger now is that the public might get overconfident in today’s dental technology and therefore get too lax. There must be constant vigilance throughout a person’s life, with both personal care via daily brushing and flossing and professional care and dentists with regular visits to people who have made public dental care their life’s work. The regular care must begin in infancy the teeth have even arrived. Taking care of the infant’s dental care is the parents’ responsibility. They are well advised to brush their infants gums-gently, of course. This makes brushing a habit with the child from literally the very beginning. However, it is especially important in the infant’s mouth after teeth emerge since babies often fall asleep while eating, which allows food particles greater ease in creating cavities and other tooth damage. Children are considered to have baby teach until somewhere between the ages of six and 12. During these years their baby teeth will gradually fall out as they are replaced by adult teeth. The first of these teeth to come in are usually the molars. The first of the adult teeth to come in define the look and bite of the rest of the set that will come in. Your mouth will have a very important impact on your look as an adult. But it will have more than just an effect on your appearance; your speech and eating patterns will be affected. All of this is why it is part of the reason it is vitally important to maintain good dental health practices throughout your adult life. Although they may have adult teeth, parents will have to be vigilant that their children are adequately caring for their teeth since even teenagers can get lazy at it. In addition to regular dentist visits, parents should do everything in their power to guard their child’s dental health. For instance, if they play sports it is not a bad idea to get them a mouth guard. Parents also need to pay attention to whether or not their children need braces. If they do, this will typically be something that happens during their teen years. This is not always the case, though, and orthodontists are very capable of helping adults of all ages with braces if and when they need them. 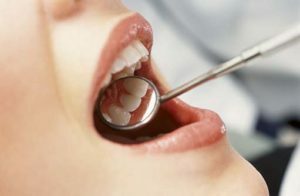 To adequately maintain your teeth and know all that you should be doing with them you will need to garner the assistance of at least one type of dental professional for both you and your children. 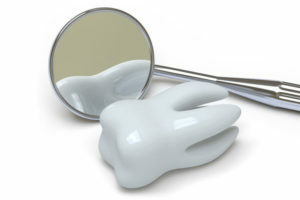 There are several kinds: Dentists, dental hygienists, periodontists, orthodontists, and oral and maxillofacial surgeons. Not seeing a professional on a regular basis and getting their regular services and dental knowledge, and result in serious problems that can end up being incredibly expensive.